Yacht charters for corporate events of top executives, or a party thrown for the CEOs of a certain industry or a couple of employees are being rewarded for their hard work. 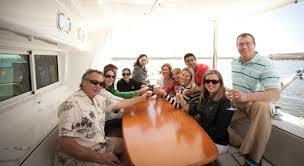 Chartering a yacht for arranging small corporate events is rapidly becoming a popular means of business leisure. Why are charters for corporate events becoming so popular? 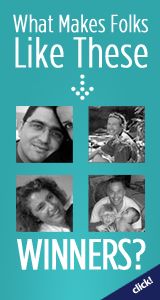 Meetings are often interrupted by phone calls, surprise guests or other office released issues. CEOs and board of directors of large companies find crewed charter yachts the best place to hold meetings and discuss new business ideas without any of the usual office distractions. Charters for corporate events and being aboard a yacht means serenity, peace and a totally different surrounding from what the office looks like. This allows executives to seek inspiration and reflect on different ideas that may turn out to be profitable for their business. 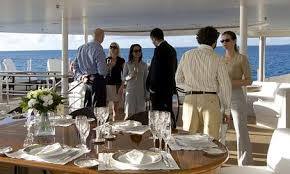 Arranging corporate events on a crewed charter yacht, such as product launches, get-togethers with suppliers and other partners, contract negotiations and other similar events, are smart tactics to boost the reputation of the company. As businesses are realizing how productive such events could be if they are organized on a sailboat charter, they are increasingly becoming a part of the corporate culture. A half an hour talk in a relaxed atmosphere with your prospective business partners can potentially change the course of your company. Sailboat charters for corporate events are increasing being hired for the purpose of throwing parties for company's top level employees. This is done either to reward them for the hard work they have done throughout the year or to take their mind off the routine business set-up and relax them a bit before they face some more challenges coming in the future. While booking a crewed charter yacht for business has a number of advantages, it's important that you first communicate the specific business goal you have in mind with respect to the charter. You need to tell the charter company whether the purpose is to improve relations with suppliers, a product launch, networking or providing a reward to employees. 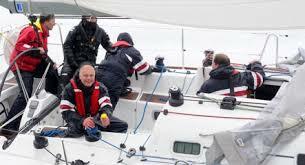 You also need to pre-define the budget you would like to spend on the sailboat charter. Since normal charters don't allow more than 2 to 6 guests out of safety concerns, a big corporate event might require more than one crewed charter yacht, allowing all the guests sufficient accommodation as well as more activities. 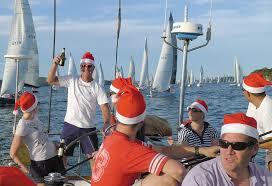 For example, guests from two or three different yachts can go to one particular yacht to attend a party.